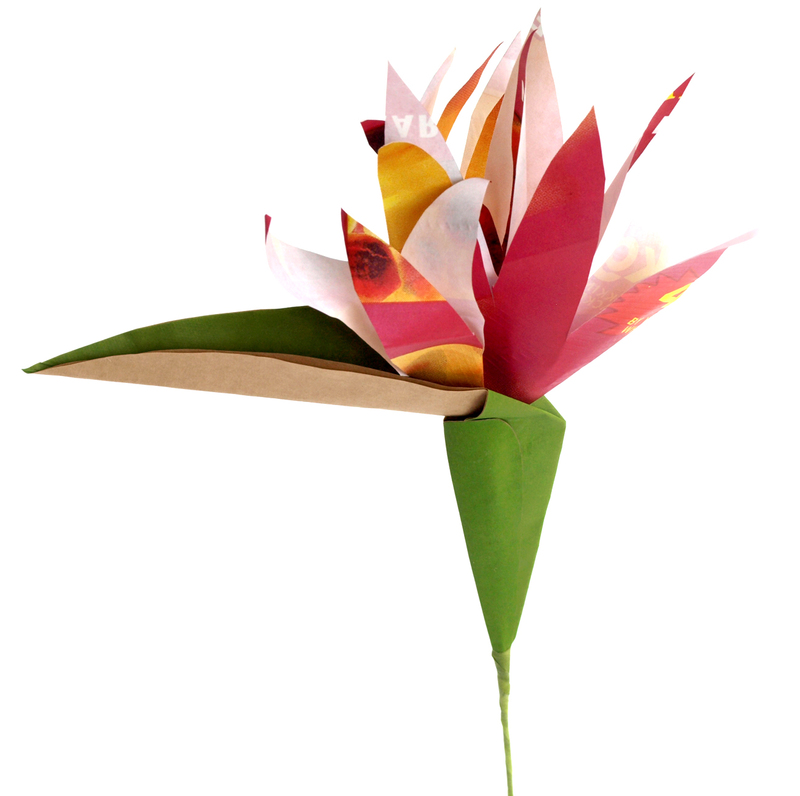 The Strelitzia is a vibrant indigenous South African flower – also known as The Bird of Paradise Flower or the Crane Flower. It’s name suits it’s bright and angular appearance! 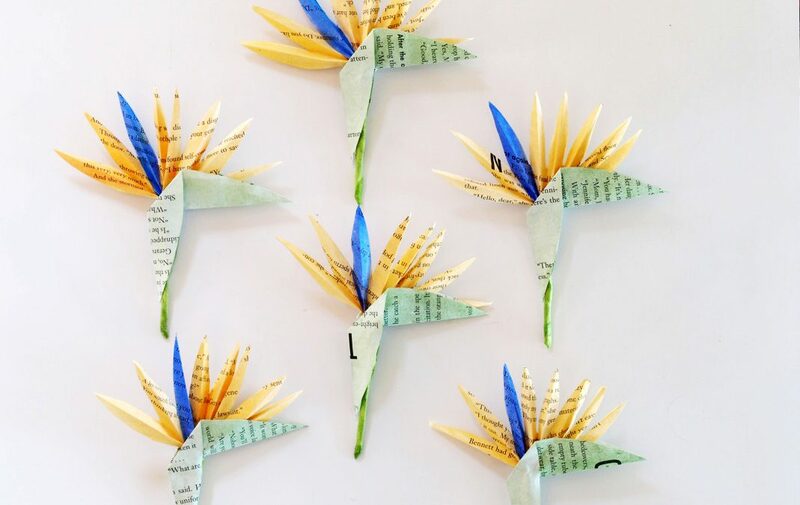 It was lovely to make a set of buttonholes for a wedding with a strelitzia theme. They were cut from Book print paper before being painted and assembled. Chat to us if your would like us to make up bespoke paper accessories for you – shop window designs, decor, or accessories for a special occasion. \Stre*litz”i*a\, n. [NL., named after Charlotte, Princess of Mecklenburg-Strelitz, and queen of George III of Great Britain.] (Bot.) A genus of plants related to the banana, found at the Cape of Good Hope. They have rigid glaucous distichous leaves, and peculiar richly colored flowers.